Perfectly situated 5 AC near Happy Valley Market, just over two miles to HWY 273.Gorgeous Mountain views! 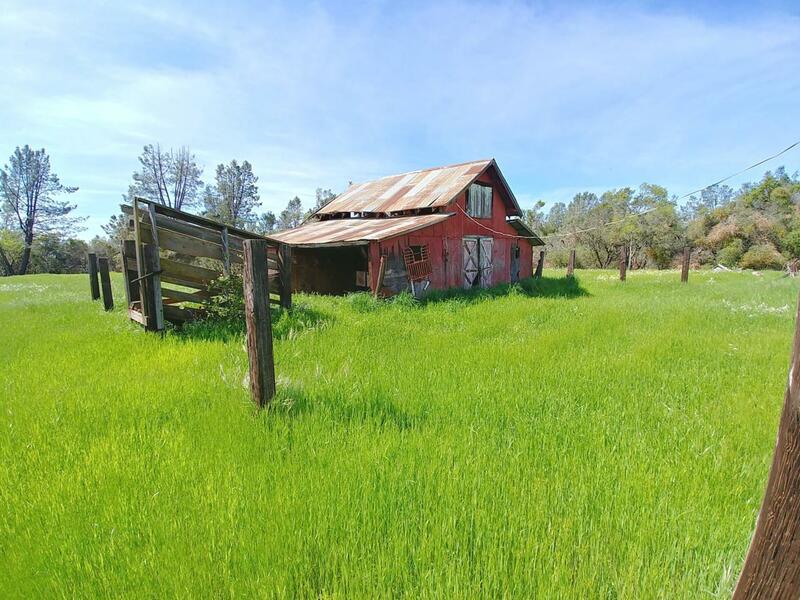 See Shasta, Lassen, and Coastal Range.Very flat, 5 AC splitable land: perfect for horses, small irrigated farm, AG, FFA, or 4-H.Home is 2 Bed/ 1 Bath with 400 SQFT family room.594 SQFT barn is currently used for storage.Property backs up to seasonal creek.Read More for Details!-Newer hot water heater -Newer dual pane windows. -Property is on public water. Well has been capped 30 FT down per Seller. -Property is fully fenced -Currently zoned for two residences plus an ADU (up to 12 SQFT) -Property is splitable -With Split, capable of building main residence AND Accessory Dwelling Unit of 1200SQFT (4 units total!) -Septic was recently updated with Infiltrators for longevity -Remnants of orchard on Right side of home include persimmons -Home built in 1949, addition in 1979 -Deer and other wildlife abound! -Possibility of fifth wheel (loaded) being sold with property for the right price. Property will need some TLC. Most likely will not qualify for typical home loan. Buyer to verify. Listing provided courtesy of Steven A Chain of Chain Real Estate Investments & Mortgage.